In response to an FOI request CRT confirmed that the maps were leaked, stating on 19th September that “this information has been put into the public domain by a third party… please be aware that the information we are supplying has not been made public by the Trust yet, though it will be after our discussions with boating organisations has concluded, and its content will change following feedback and discussions”. The maps were sent out to the attendees of a meeting on 9th June between CRT and some of the boating user groups. 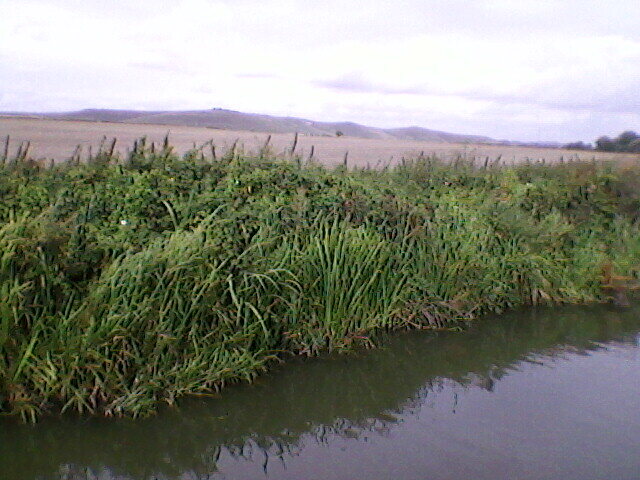 CRT’s maps are unlawful because Section 17 3 c ii of the 1995 British Waterways Act does not define “place” at all. Boaters without a home mooring are simply required to travel to a different place after remaining continuously in one place for 14 days (unless it is reasonable in the circumstances to stay longer). To add insult to injury, CRT has missed out many places from the maps completely. For instance, many boaters in the Long Pound are incensed that the maps reduce the 14 or so places between Devizes and Wootton Rivers to just six. CRT does not have the power to alter the map in this way. Indeed in December 2012 CRT conceded in its Towpath Mooring Q and A that it does not have the power to tell boaters how far they must travel to comply with Section 17 3 c ii. “The Canal & River Trust (CRT) has published maps purporting to define “places” for the entire waterway system in an unlawful attempt to prescribe and control the movement of boats licensed without a home mooring. Section 17(3)(c)(ii) of the British Waterways Act 1995 states that boats must not remain “continuously in any one place for more than 14 days or such longer period as is reasonable in the circumstances”. The maps, published on 14th August, widen the definition of “place” to encompass multiple towns and villages… CRT does not have the legal power to define statutory words in this way. “Place” is not defined in the 1995 Act. CRT is acting beyond its legal powers in seeking to define where and how far boats should travel, and its definitions of “place” defy geography. The names and boundaries of places have evolved over centuries. CRT cannot re-draw the map and expunge hundreds of years of history. This is the action of a totalitarian regime. Indeed CRT’s move to define “places” contradicts its own Guidance for Boaters Without a Home Mooring, in which CRT states that a “place” can be a village or hamlet, a suburb or district within a town or city, or an uninhabited area; that exact precision is not required or expected, and that it is not possible or appropriate to specify distances that should be travelled. This is despite the fact that CRT also stated on 14th August that compliance with this Guidance now requires compliance with the maps. CRT’s Guidance has never been endorsed as lawful by a court. The National Bargee Travellers Association (NBTA) maintains that CRT’s maps of “places” are an unlawful erosion of the rights of boaters without home moorings to travel freely from place to place after a stay of 14 days in a cruising pattern of their own choice. This puts yet further pressure on live-aboard boater families with children, jobs, medical needs or other reasonable reasons for needing to stay in a closely defined area. CRT does not have the legal power to enforce this arbitrary, unreasonable and irrational modification of geography and the NBTA urges boaters to resist it”. This entry was posted on Monday, September 22nd, 2014 at 3:10 pm	and is filed under FOI Act requests, News. You can follow any responses to this entry through the RSS 2.0 feed. You can skip to the end and leave a response. Pinging is currently not allowed.